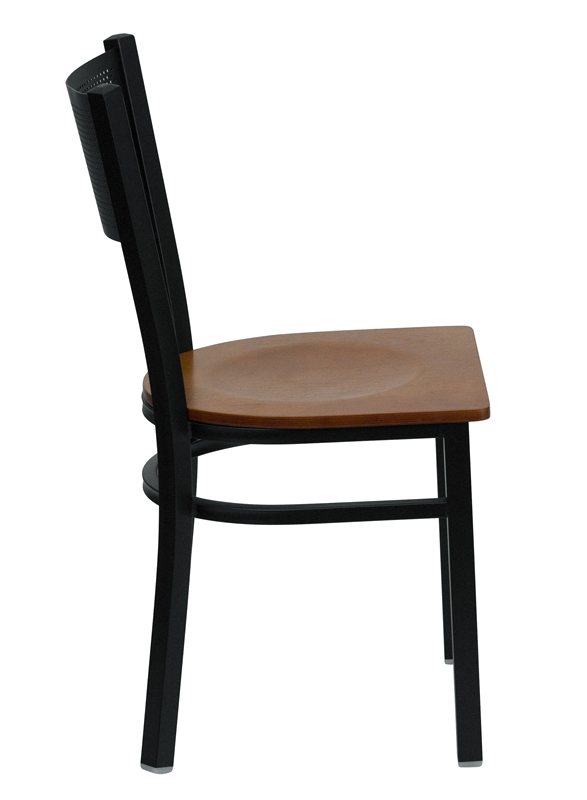 Starting At $81.99 + Free Shipping! 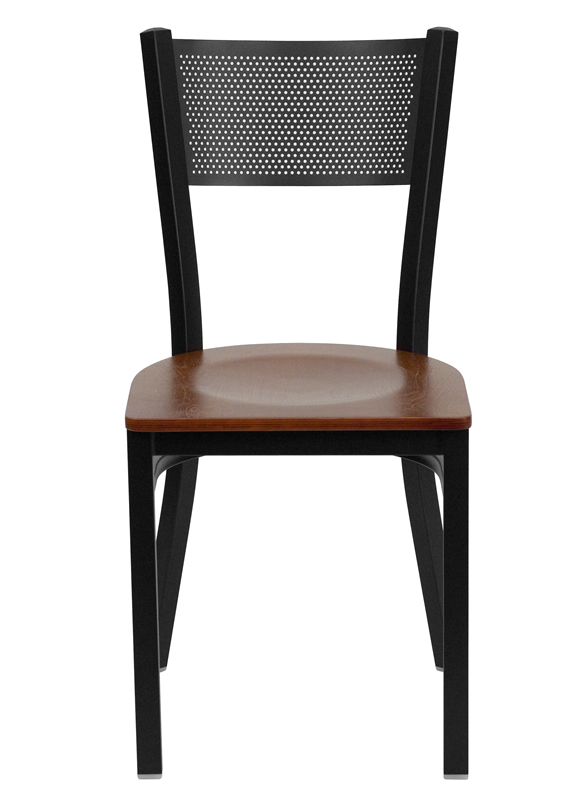 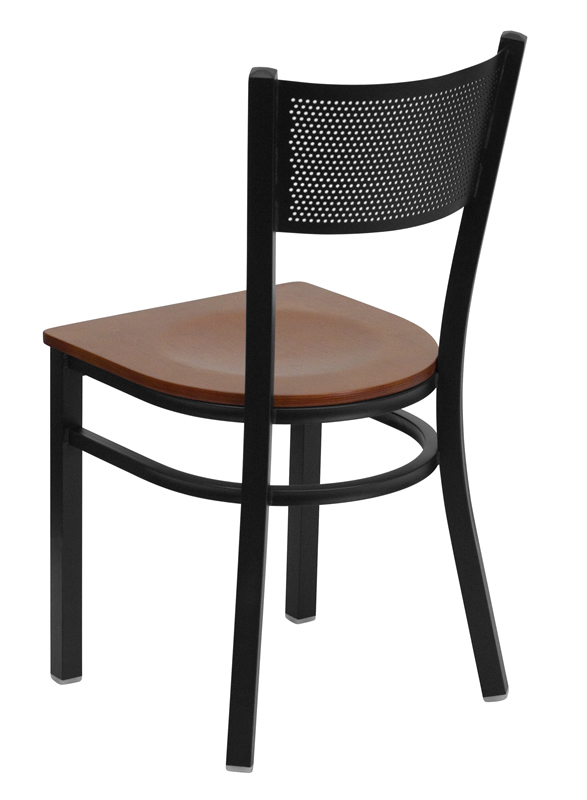 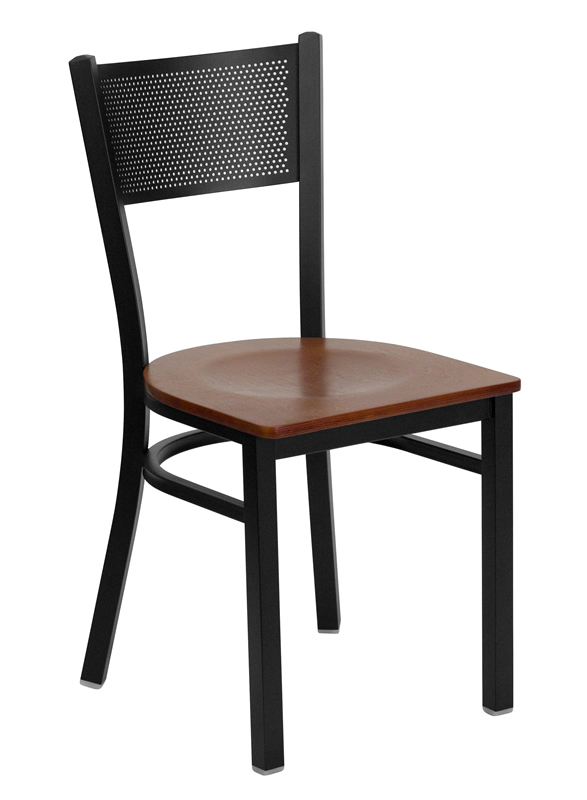 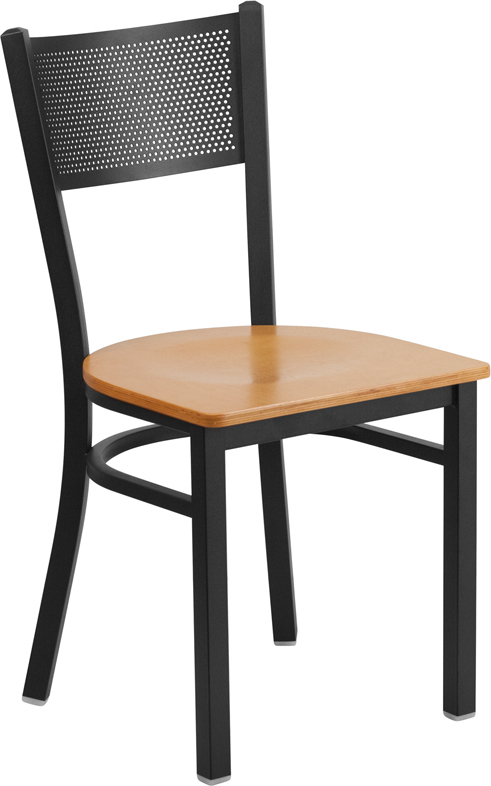 You can easily add a touch of class to your offices breakroom with the BTOD Grid Back Breakroom Chair. 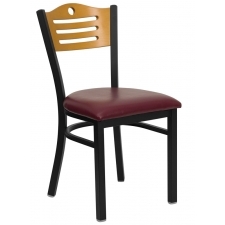 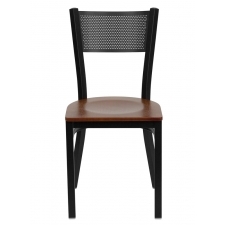 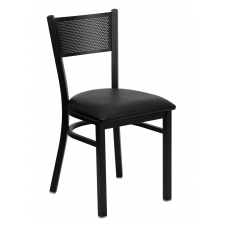 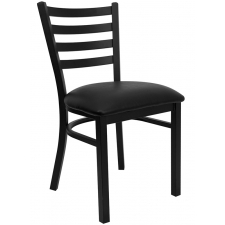 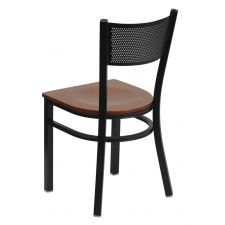 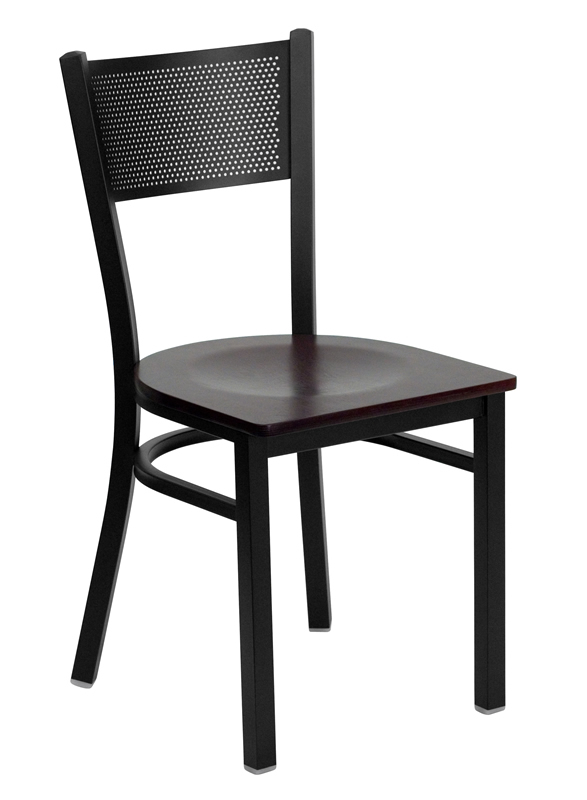 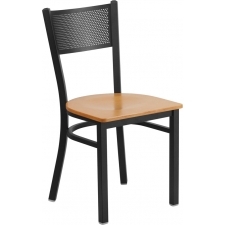 Offered with a cherry or mahogany wood seat, this chair easily fits in with any existing décor. 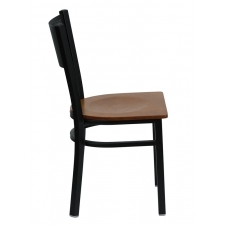 The dining height of this chair makes it comfortable for your employees to kick back and enjoy their break before heading back out on the job. 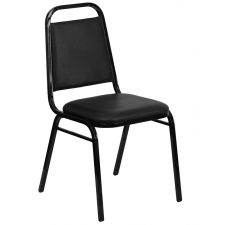 The black powder-coated 18-gauge steel frame is durable and built to stand the test of time, and the plastic floor glides on each leg make this product easy to maneuver.